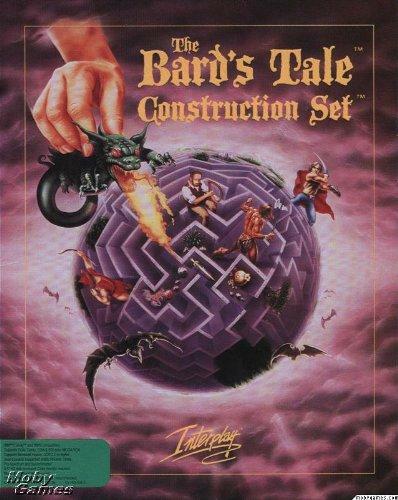 The Bard's Tale Construction Set was released by Interplay in 1991. 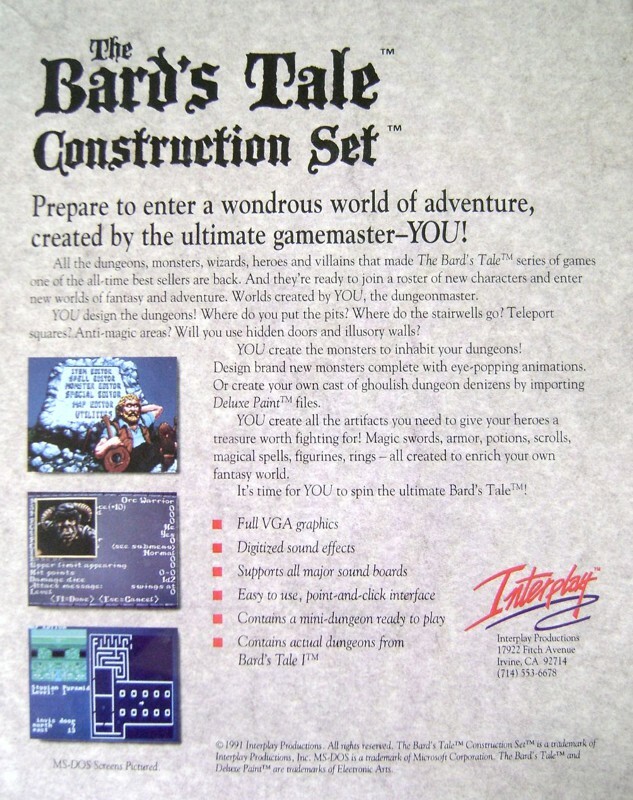 It allowed users to create games in the style of the Bard's Tale series. The Construction Set was made available for MS-DOS and Commodore Amiga. Prepare to enter a wondrous world of adventure, created by the ultimate gamemaster—YOU! All the dungeons, monsters, wizards and villains that made The Bard's Tale series of games one of the all-time best sellers are back. And they're ready to join a roster of new characters and enter new worlds of fantasy and adventure. Worlds created by YOU, the dungeonmaster. YOU design the dungeons! Where do you put the pits? Where do the stairwells go? Teleport squares? Anti-magic areas? Will you use hidden doors or illusory walls? YOU create the monsters to inhabit your dungeons! Design brand new monsters complete with eye-popping animations. Or create your own cast of ghoulish dungeon denizens by importing Deluxe Paint files. YOU create all the artifacts you need to give your heroes a treasure worth fighting for! Magic swords, armour, potions, scrolls, magical spells, figurines, rings—all created to enrich your own fantasy world. It's time for YOU to spin the ultimate Bard's Tale!